News releases, press clippings and social media posts about Goldberg Brothers, Inc. This Old House, the most trusted home renovation brand, is set to unveil the completed renovation of its third annual Idea House (#TOHIdeaHouse2017) on Saturday, August 5, 2017. The Beach House at East Matunuck, is a 3,200-square-foot, three-story shingle style South Kingstown, RI residence set in the bucolic coastal village of Snug Harbor called East Matunuck Farms. The home makeover includes barn door track hardware made by Goldberg Brothers. This Old House teamed up with Sweenor Builders, Union Studio Architecture & Community Design and Denise Enright Interior Design to create the one-of-a-kind home, perfect for a growing family or for empty nesters who want to entertain. 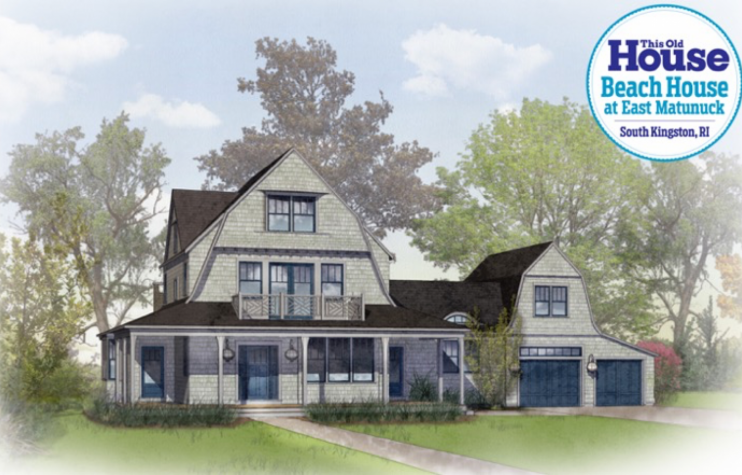 The Beach House at East Matunuck will be featured in the October issue of This Old House magazine and showcased online in late September with a style guide, video house tours, online galleries, and tips from the project’s experts on energy efficiency and universal design. The Emmy®award–winning PBS television series, This Old House will feature the Idea House in several episodes of its 38th season for 2017-2018. Visitors can tour The Beach House at 84 East Matunuck Drive, South Kingston, RI, during an Open House Celebration Party on Saturday, August 5, 2017 from 11am to 4pm eastern. The event is free and open to the general public.